JOY is the story of a family across four generations and the woman who rises to become founder and matriarch of a powerful family business dynasty. 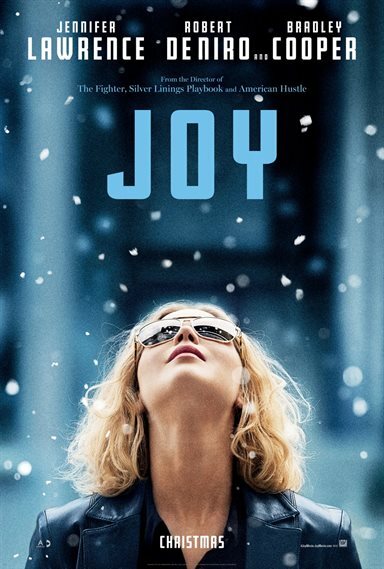 JOY stars Jennifer Lawrence in a film written and directed by David O. Russell. Robert De Niro, Bradley Cooper, Edgar Ramirez, Isabella Rossellini, Diane Ladd, and Virginia Madsen will also star. The story is inspired by the life and times of inventor entrepreneur Joy Mangano, creator of Ingenious Designs with over $1 billion in sales, as well as inspired by elements from the lives of other historic business pioneers. Download Joy in Digital HD from the iTunes store. Joy images are © 20th Century Fox. All Rights Reserved.